IPWatchdog has been closely following the growing trend of Rule 36 affirmances at the Federal Circuit. Perhaps one of the most widely publicized of these was the January 15 decision in VirnetX Inc. v. Cisco Systems, in which co-defendant Apple appealed a September 2016 jury verdict from the Eastern District of Texas awarding $302.4 million in damages to secure communications patent owner VirnetX. That verdict said that Apple had infringed two patents through its VPN On Demand and FaceTime services. While some might say a judgment that ultimately totaled more than $400 million after enhanced damages and interest warrants some kind of explanation, a look at the oral argument transcript suggests that this might be one where Rule 36 was actually appropriate—or, at least, expected. The Federal Circuit panel of Chief Judge Sharon Prost and Circuit Judges Kimberly Moore and Jimmie Reyna seemed to push back heavily against Apple’s counsel during oral argument regarding supposed errors committed by the district court in admitting a cost figure for a non-infringing alternative as evidence. Arguing on behalf of Apple was William Lee, Partner at WilmerHale. Lee had also represented Apple earlier that same day in oral arguments for other appeals involving VirnetX. Lee began his arguments by focusing on the reliability of the damages theory employed by VirnetX’s damages expert and whether a $1.3 billion figure representing Apple’s costs to design around VirnetX’s asserted patents was admissible as evidence; Lee argued that it was used to prove infringement, not for the calculation of damages. Chief Judge Prost noted that the district court judge’s instructions to the jury acknowledged evidence about how Apple modified its FaceTime design but that such evidence was only to be used to determine damages, not infringement. Lee argued that the $1.3 billion redesign cost figure shouldn’t have been introduced in the case at all as it wasn’t relevant to the Georgia-Pacific analysis used by VirnetX’s damages expert for determining royalty rates from a hypothetical negotiation. Chief Judge Prost noted that the jury came up with a reasonable royalty rate that was precisely the number given by the damages expert, so “even if we’re troubled about the $1.3 billion,” she said, “can’t we be pretty secure where the jury came up with its number has nothing to do with that?” Lee contended that, while the appellate court could be secure in where the jury got the number for damages, it was possible that the design-around cost figure could have swayed the jury towards accepting the $302.4 million damages award. Judge Moore said that she didn’t understand Lee’s argument. “I guess Judge Prost’s point is, the jury came up with exactly the number that followed the damages expert’s analysis identically, and that was the number they came up with,” Judge Moore said. “So, it doesn’t appear as though the jury used that 1.3 billion dollar number at all. Why do we need to be concerned? You’re saying it deprived you of a fair trial on damages, but the jury adopted almost exactly what the expert articulated.” Lee cited to the Federal Circuit’s 2011 decision in Uniloc USA v. Microsoft Corp. and argued that case stood for the principle that a party seeking damages cannot large figures to inflate the amount of damages that could be awarded. Judge Moore countered by citing to the Federal Circuit’s 2013 decision in Douglas Dynamics v. Buyers Products to note that the availability of non-infringing alternatives and the cost thereof were relevant to damages calculations. Lee next moved on to argue that damages failed to be apportioned at the district court following the Federal Circuit’s previous remand of this case in 2014 when it threw out the previous $368 million damages award for failure to apportion the value attributable to either FaceTime or VPN On Demand. Instead of properly apportioning damages, Lee argued that the only thing VirnetX’s damages expert did was divide Apple’s device unit sales by the number of devices sold to come up with a reasonable royalty amount that was an order of magnitude higher than the largest of the comparable licenses used for the hypothetical negotiation analysis. Chief Judge Prost submitted that this seemed like a question that should have been posed to the jury at district court, which found sufficient basis to accept the damages expert’s calculation. “Aren’t our hands tied?” Chief Judge Prost asked. Lee continued to push the damages argument, referencing the Daubert standard to attack the reliability of the damages expert’s assertions at district court. “The only thing you have is this: an unweighted average of licenses that vary by two magnitudes with the expert not being able to say, ‘Here’s why I used them,’ is not sufficiently reliable to make it to the jury,” Lee said. Arguing on behalf of appellee VirnetX was Jeffrey Lamken, co-Founding Partner at MoloLamken LLP. He argued that the $1.3 billion figure for the design-around cost was used properly by the damages expert, not in terms of a mathematical calculation but rather to inform the nature of the hypothetical negotiation. The cost of a non-infringing alternative can provide a cap on the amount of damages awarded, Lamken noted. Further, the non-infringing alternative design would have been technologically inferior, requiring Apple’s FaceTime service to go through multiple relays and resulting in a system with noticeably poorer quality and which was susceptible to dropping calls. Lamken wrapped up his arguments by pointing out that the results of the earlier VirnetX case remanded by the Federal Circuit were quite different than the results of the case presently before the appellate court. In the first case, VirnetX was awarded $368 million on the sale of about 175 million units. In the present case, VirnetX’s $302 million award was about 20 percent lower than the first damages award while it was based on the sale of 252 million Apple units, about 50 percent more units than were involved in the first damages calculation. During the first four weeks in January 2019, the Federal Circuit issued 24 Rule 36 decisions while issuing only 13 precedential decisions, for a 2-to-1 ratio of one-word affirmances to full precedential opinions. It is that ratio that causes concern, so even when it appears a Rule 36 decision is appropriately granted, questions will still be raised. Particularly so when hundreds of millions of dollars are at stake, or when the patentability of a billion-dollar blockbuster drug is on the line. “Count me among those who believe the Federal Circuit owed VirnetX more than a one-word decision in this case,” said Gene Quinn, Just one word would be enough for Apple to demand an en banc. Sorry but Apple has been stealing and stalling for too long. The Court(s) finally did the correct thing. Ten years is a joke and it is the judicial system to blame. What concerns me most is that for a damages road map, this case seems to fit the bill where circumstances permit. 2-4 quick pages of why the damages were correctly presented in a precedential opinion would have been perfect. In the next infringement case (the 855 trial in which Apple filed their written appeal on Jan. 24th ) Apple and VirnetX used the exact same damages road map, so it would be safe to say that if a different panel were to review this case that panel is under little onus to reproduce these results, which would be an absolute crime against VirnetX. A Rule 36 affirmance sent exactly that message. There were no errors in the trial court’s judgment, and the appeal raised no legitimate issues warranting the expenditure of additional judicial resources (after the earlier appeal in the same case and two district court trials). The panel (which also heard two companion cases involving essentially the same parties and VirnetX’ appeal from adverse re-exams and IPRs) is likely better spending its resources writing about the errors at PTAB (and VirnetX’ right to engage in discovery regarding Apple’s use of RPX and Mangrove at PTAB in an effort to circumvent a time bar) that led to improper results below. VirnetX is in a Baxter II-type race to finality against Apple, with > $1 billion, plus sunset royalties, on the line (after adding its ~ $600m + judgment against Apple in the other case, ‘855, now at CAFC). It no doubt welcomed CAFC’s Rule 36 affirmance of the ‘417 case, as it greatly increased the chance of VirnetX’ winning that race, at least as to the that case. After reading Apple’s recently-filed opening brief in the second case (‘855), one may rightly wonder whether Apple will also receive a second Rule 36 affirmance in that case, i.e., two in the same year. In VirnetX’ epic, near decade-long struggle to survive Apple’s onslaught to destroy it via its efficient infringement business strategy, supplemented with blatant abuses at PTAB, it now appears justice might prevail, i.e., Apple might have to pay for its use of someone else’s IP. I want to point out that I said that VirnetX deserved more than a one-word decision, not Apple. It seems that Apple had no legal leg to stand on and appealed anyway. That cost the patent owner more time and money. Fine, but if the case was so clearly decided in favor of VirnetX that no opinion was needed why didn’t VirnetX deserve attorneys fees and costs? Why doesn’t VirnetX deserve ratification by the CAFC of the victory with an opinion that says Apple’s apple was unnecessary and perhaps frivolous? And if that isn’t the case then why doesn’t Apple deserve an explanation why they have to pay $400 million? Rule 36 practice with decisions where so much is on the line is inappropriate in my opinion, period. The Federal Circuit could have written a couple pages to explain their decision. That doesn’t take much time and in my opinion ought to be the default. The default at the Federal Circuit seems to be Rule 36 is appropriate given how often they use it to dispose of appeals. I think that is wrong. t is mind boggling how these so called patent stalwarts were so emotionally devasted by the Apple Rule 36 holding after a mere decade of abusive litigation at the Patent Office and several trips to the CAFC and three trials at a District Court. How impolite of the CAFC to be so curt. This IS Apple after all – they deserve only the best treatment by a genuinely obsequious legal system. I used to think that the Fed Cir issued so many Rule 36 opinions because it was a docket-control mechanism (i.e. overloaded docket resulting in less time for written opinions). However, with patent litigation and IPR filings (and subsequent appeals) down so much (last figure I read was that filings were down about 50% from recent historical highs), it seems that the Fed Cir uses Rule 36 because they’re just too lazy to write an opinion or because they want a particular outcome in a case. The Federal Circuit’s Rule 36 affirmance in the ‘417 case, and the district court’s surprisingly quick decision in the ‘855 case on August 30, 2018, have together changed the landscape in this David vs. Goliath struggle. Next up will be Apple’s filing of its petition for review and for review en banc, due at the Federal Circuit in less than 10 days. How many petitions following Rule 36 affirmances (especially those where the panel includes the Chief Judge) succeed in obtaining either? Looking ahead to the final leg in the ‘417 marathon, how many times has SCOTUS granted writ of certiorari in a case decided by Rule 36 affirmance? Great job VirnetX and counsel. Long overdue and well earned and deserved indeed. And thank you panel for reaching the correct decision and doing the right thing. Gives hope and encouragement to our nation’s other innovation Davids. I understand the legal arguments and the absurdity that Virnetx has been subject to such a long process. This clearly should have been resolved faster. I agree that Virnetx’ patents are not being respected, and this fact undermines the value of the patent system. On the other hand, the patents themselves are laughable (many of Apple’s patents are laughable as well). At the time that SAIC/VHC did the work these patents are based on most/all of these methods were being used for years. 7490151 is particularly egregious, in layman’s terms it patents having a DNS server for a special set of URLs. 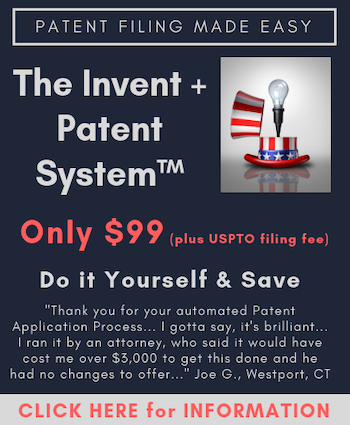 That sort of patent undermines innovative patents. Could you possibly be using hindsight to claim they shouldn’t be patentable? Microsoft, Apple, and Cisco all took a run at invalidating them in District Court and every high priced hired gun law firm failed in the effort. Kind of hard to believe they couldn’t find the prior art to use and the way to explain it to a jury to make a case if it is as easy as you say it should be. Judge Leonard Davis presided over all three invalidity proceedings and he was quite qualified to understand such “simplicity”. Going even further, Apple attempted to pull their invalidity arguments from the trial at the last minute and Cisco’s choice of prior art (an RFC that was plainly cited at the beginning of the application) was so bad their expert witness almost had a stroke on the witness stand. How many Rule 36 affirmance losers file for en banc and how many actually end up with a CAFC invitation to respond? Not a rhetorical question, but a ballpark answer based on what you all have seen would be nice.